My rating: 8/10, Minimalist design, very popular watch. 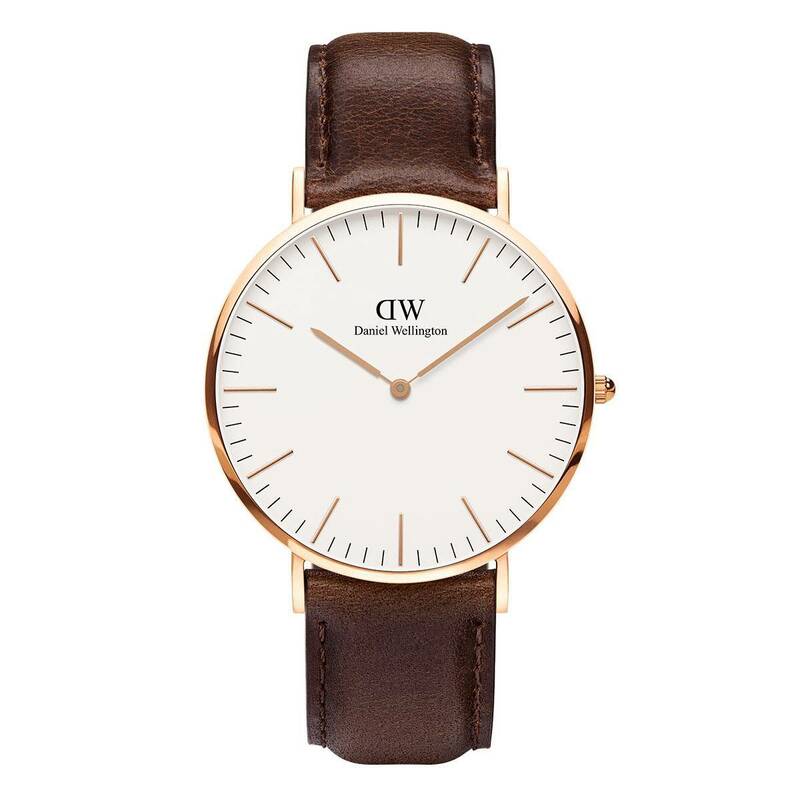 Daniel Wellington 0109DW watch is perfect for those who love that popular minimalist style. It has a sleek 6mm thin design giving it that small profile that works so well with minimalist watches. The 0109DW has a soft genuine leather strap that blends together nicely with the PVD rose gold coloured casing. It uses a quartz movement and features a mineral glass, all of this is as expected for a watch in this price range. 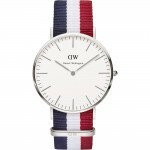 The Daniel Wellington brand have fast become one of the most popular affordable watches available, with many topping the best seller lists online. It only takes a quick look at their Instagram to see how much of a brilliant job their marketing team are doing. Band Comfortable soft genuine leather strap, standard length, 20mm width, Rose gold PVD plating detailed buckle clasp. Case Stainless steel case, sizing diameter: 40 mm and thickness: 6 mm. Dial Clean minimalist white dial, DW logo at the 12 O’clock position. Mineral glass which is specially hardened to give good scratch resistance. Movement Accurate Japanese quartz movement. Analogue display. Very thing case at only 6mm. No extra features like a date display that you could find on other watches in this price range. 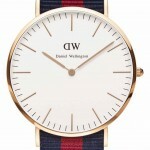 Daniel Wellington 0109DW watch is a rather beautifully designed timepiece in my eyes. 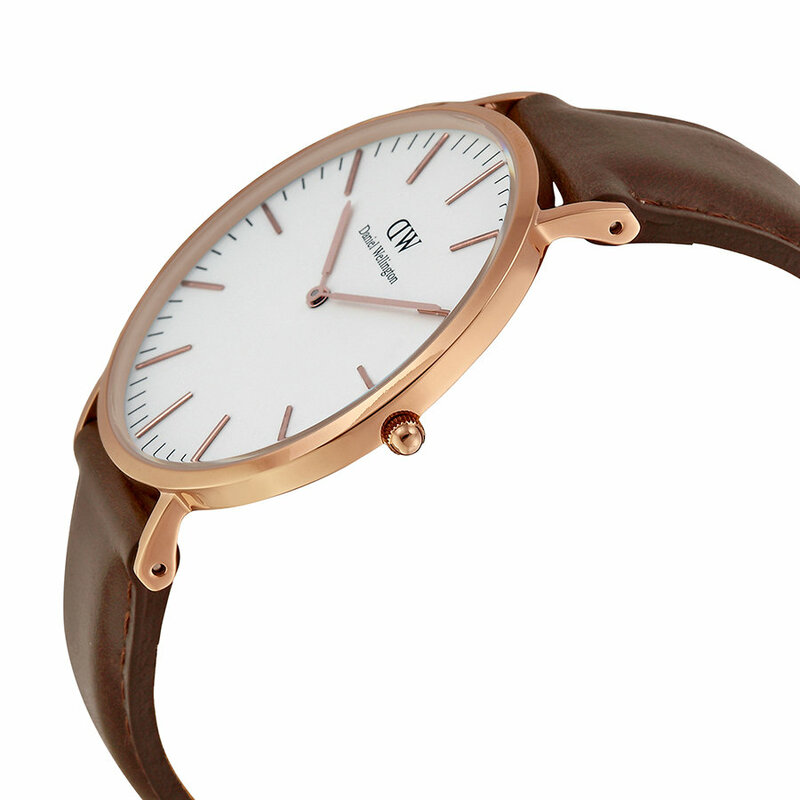 I love the blend of the rose gold casing with the tanned leather strap. I appreciate it’s not feature rich like some other watches you may find, but as a fashion piece it’s a very stylish watch that works well for smart or casual looks. You may have noticed the lugs of the watch are drilled all the way through, this is to make it easier when changing the strap, Daniel Wellington offer a range of straps so you can customise your watch as well which is another nice addition. Overall i’m a fan of these watches and would always happily recommend them, due to their popular design and affordable price point they are very in demand at the moment. Hope you enjoyed this Daniel Wellington 0109DW review. Find more watch reviews below.